Unfamiliar with MADE SAFE®? 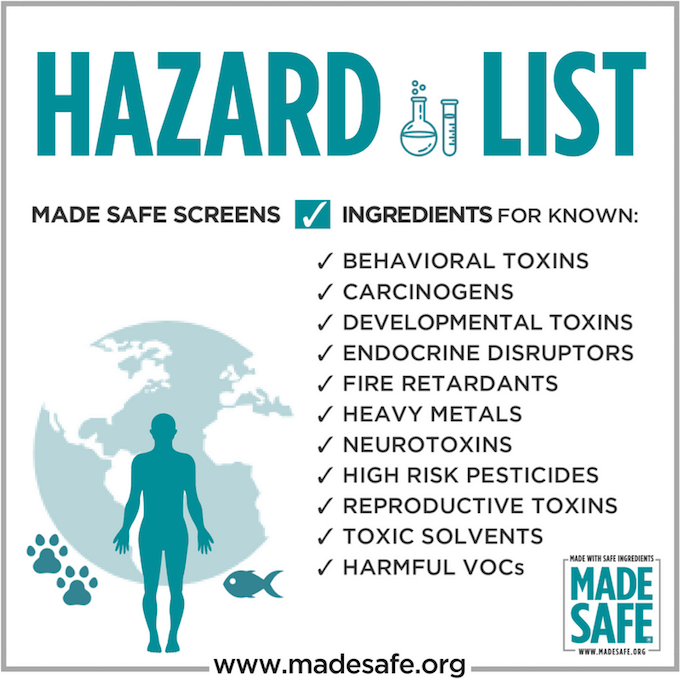 This posts breaks down what the amazing MADE SAFE non-toxic certification and label is, why it matters and what MADE SAFE certified products–from cosmetics to personal care to baby toys to mattresses–we’ve tested and recommend to keep you and your family safe, healthy and free from harmful chemicals and toxins. You know we’re all about non-toxic living here at R+R, yet sometimes it’s so darn hard to figure out if a product is truly clean. Sadly, many brands and companies greenwash their marketing, meaning that they’ll deceptively use good sounding words like ‘natural’ to promote a false image that their products and policies are environmentally friendly–when in reality, they aren’t. This is scary because you think you’re making a better decision and getting a safer product for you and your family, but the truth is that the product is still toxic. There is little external regulation of the thousands of chemicals used commercially today, and so many of them have long-term health implications. Increasing studies are linking chemicals in everyday products to a wide range of serious health problems–from cancer, reproductive harm, and endocrine disruption, to learning disabilities, developmental problems, and infertility. 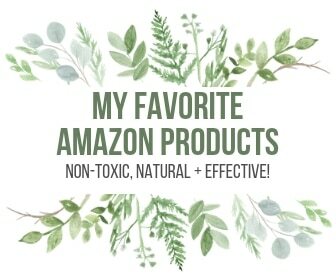 I’ve also been an advocate for looking up a product on EWG’s Skin Deep database, which will give you information on the ingredients and their toxicity level; but again, this requires doing a lot of research which takes time, and it’s just not realistic every time you shop or discover a new product you’re interested in. That’s one of the many reasons why I love the MADE SAFE® certification, which is a nonprofit organization and independent third-party verification process that created the USA’s first non-toxic seal for everyday products, including categories like personal care, household, baby and beyond. Shopping for products that are MADE SAFE® certified takes the guesswork out of if what you’re buying is safe for you and your family, and it’s become a label that I’m personally looking for more and more when I’m discovering new companies and products. 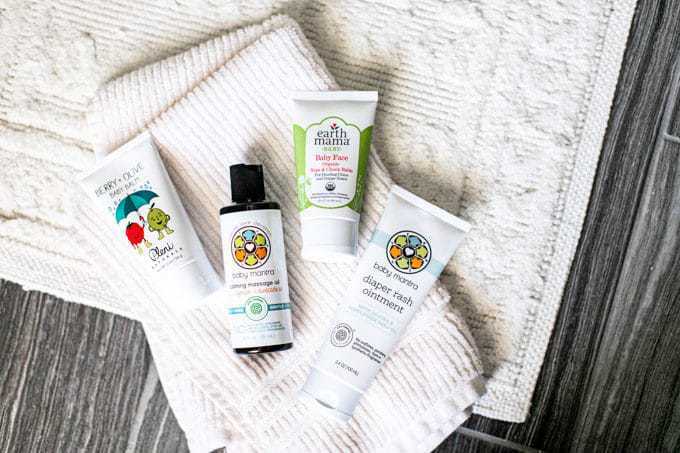 Below we share our 10 favorite MADE SAFE companies you can count on to deliver truly clean, non-toxic and environmentally friendly products, plus we highlight our favorite items across skincare, toiletries, baby toys, bedding and more. But first, let’s talk a bit more about what the MADE SAFE certification actually means. What exactly is the MADE SAFE® certification? In sum, MADE SAFE Nontoxic Certified™ means that a product has passed MADE SAFE certification standards where its been lab-tested, ensuring that the item’s accessible or used parts have been tested and found to be non-toxic. They also check to ensure that there’s no supply chain contamination and vet the effect of the ingredients and manufacturing on our ecosystems. For more details on their certification process, you can read all about it here. 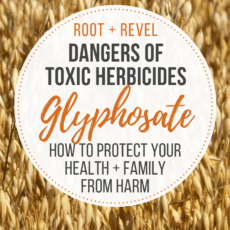 If you agree that we all have a right to know that what we’re putting on our bodies, in our homes, and on our children have been scientifically screened for ingredient safety and purity, then take a stand with MADE SAFE and sign up for their mailing list–you’ll learn about more ways you contribute and make a difference. Together, this can become the new standard in our world! Who is Mother Dirt? 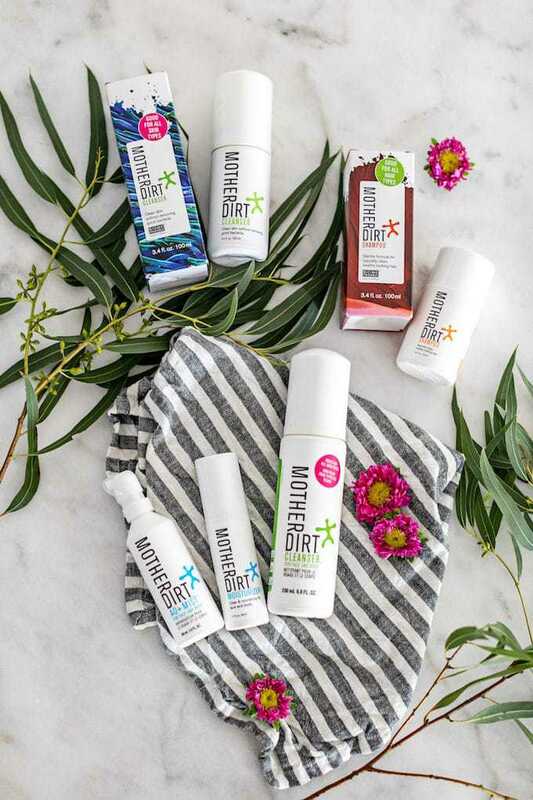 Mother Dirt makes preservative-free, hypoallergenic products that are built to enhance and protect the skin biome by restoring, nurturing and maintaining beneficial bacteria. Just like we have a gut microbiome that relies on good bacteria and probiotics to have healthy digestion, neurotransmitter balance and more, our skin also has a biome and relies on good bacteria to be healthy. Cool, right?! The thing is, we’ve created a difficult environment for most of these beneficial organisms to survive due to thing like the prevalence of conventional and harmful skincare products on the market, our obsession with cleanliness and sterility (reducing the diversity of good bacteria) and our overall toxic modern lifestyles. Where does that leave us? Being more susceptible than ever to many skin challenges including sensitivity, acne, irritation, hyperpigmentation and body odor. My Favorite MADE SAFE product: I’ve been using Mother’s Dirt AO+ Mist for a few years and just love this stuff! 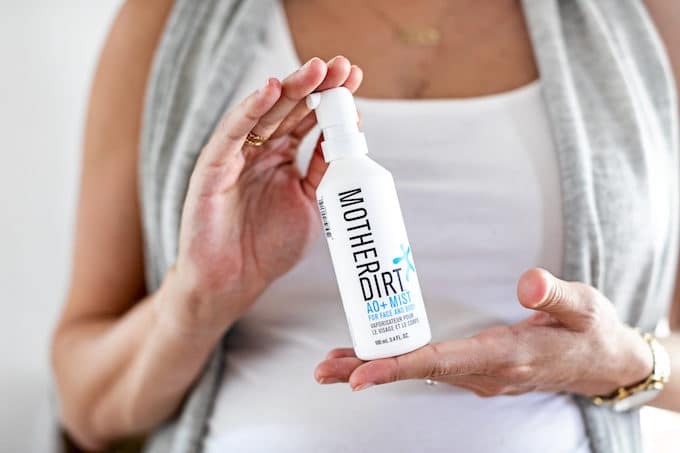 Believe it or not, 60% of users are actually able to cut out deodorant when they use Mother Dirt’s AO+ Mist on their underarms! They also have an awesome face and body cleanser, moisturizer and shampoo. Buy the AO+ Mist direct or grab it here on Amazon. Who is Alaffia? Alaffia is not only an amazing line of soaps, hair, face and body care items, but their mission is truly inspiring. Their sales fund empowerment projects in African communities (in Togo) that focus on alleviating poverty and encourage gender equality across a variety of topics like education-based projects, maternal health, FGM eradication, eyeglasses and reforestation. Alaffia is also made up of their sub-brands like Everyday Shea, Everyday Coconut, Beautiful Curls and Queen Alaffia. My Favorite MADE SAFE product: I really love their hand and body soaps! They smell so good, feel really pure and–best of all–I feel great about my purchase knowing the proceeds are giving back to a wonderful cause. Who is True Botanicals? True Botanicals is my #1 favorite skincare line. It’s the only line I’ve tried where my skin FINALLY stopped breaking out–I’m talking not a single breakout, the discoloration and acne scars faded, my skin is silky smooth and, dare I say, glowing. It’s a freaking miracle! Plus, the brand is certified cruelty-free and the majority of ingredients are certified organic and wild-harvested, meaning they’re grown in their natural environment. My Favorite MADE SAFE product: True Botanical‘s Clear Line has proven that clear, radiant skin is possible, even if you have PCOS, hormonal disorders or digestion issues. If you want to get personalized results on what products will be best for you, take their skin quiz to get recommendations. Even better? You can actually schedule a complimentary phone consultation with one of their experts to talk about your unique skincare needs–how amazing is that?! 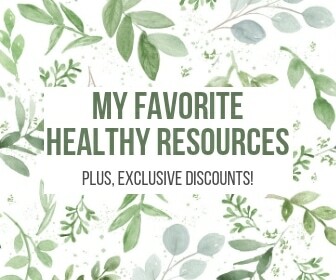 I highly recommend you take advantage of this helpful resource if you have problem skin! Plus, you can get $20 off your first order with the code JOINUS20 (minimum $40 order). And, if you join their Sun & Moon subscription, you’ll get an extra 10% off plus a surprise gift in each box! Who is Pleni Naturals? Pleni Naturals makes healthy baby bath products all from natural and organic fruit and vegetable ingredients that are packed full of beneficial vitamins, antioxidants and essential fatty acids, which soothe, moisturize and support barrier function. 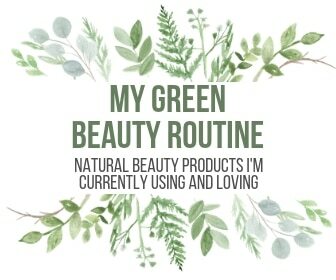 They also contain pure, essential oils and all products are certified cruelty-free and vegan, AND are safely packaged in BPA/phthalate-free bottles and tubes. Finally, they’re dermatologist- and allergy-tested, so you can feel at ease using on your sensitive little one. My Favorite MADE SAFE product: I can’t wait to bathe and nurture baby K in their line of three simple products–the Apple + Broccoli Hair & Body Wash, Berry + Olive Baby Balm and Cucumber + Grape Baby Oil. Buy direct or on Amazon. Who is Annemarie Skin Care? When it comes to natural skincare, it doesn’t get more crunchy and perfect than Annemarie Skin Care’s organic, wildcrafted products, which are made from sustainably harvested herbs and plants that nurture, strengthen and rejuvenate your skin. Plus, everything I’ve tried smells totally AH-MAZING–it’s like aromatherapy and skincare in one! My Favorite MADE SAFE product: It’s so hard to pick just one. A few of my favorites are their Citrus Stem Cell Serum, Herbal Facial Oil for Oily Skin and their Kaolin Micro Exfoliant. 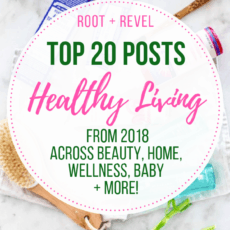 In general I just love their serums and face oils–they’re super light but moisturizing and have been helpful in clearing up some lingering acne and scarring. I recommend you start off by taking their skin quiz, which asks 12 simple questions based on your lifestyle. It then generates info on what your skin type is, along with recommendations on which of their skin care products would be best for your skin. 1) Skincare: Pick one of their three sample kits based on your skin type (normal/combination, oily or dry). The kits are only $10 each and shipped to you anywhere in the world for free! Plus, you’ll also receive a $10 coupon that you can use for a future purchase – so it’s essentially like getting these samples for free. Win! 2) Makeup: Try out clean makeup with their Minerals Sample Kit for just $20, which also ships anywhere in the world for free, and comes with a $10 coupon code to use on a future purchase of a full sized product. 3) Essential Oils: Swap out toxic perfume for an all natural yet delicious scent with essential oil blends. Pick from one of two Essential Oil Sample Kits–they’re totally FREE with just $7.95 shipping! Who is Naturepedic? Do you know just how toxic your mattress and bedding can be on your health? Check out this post to find out more, along with a ton of solutions to meet all your bedding needs! One of my favorite non-toxic mattress and bedding companies is Naturepedic, who uses only natural, organic, and non-toxic materials that are not only comfortable but much safer and healthier for you, as their bedding designs remove the need for fire retardant chemicals and chemical barriers. Naturepedic uses only U.S. certified organic cotton, certified organic wool (which wicks away moisture, provides natural fire protection and offers temperature regulation), and organic latex that is only sourced from reputable suppliers (to ensure purity, fair labor and healthy farming practices to protect our planet’s latex forests). Also, 1% of all their revenues are donated to environmental nonprofits, which I love. My Favorite MADE SAFE product: Their organic crib mattress which I have in my son’s nursery! In fact, they have an entire baby collection of crib mattresses (which come with a lifetime warranty and 30-day money back guarantee), pads & toppers, bassinets, cradles, changing table pads and bedding. Who is Good Clean Love? Have you ever thought about the importance of getting high-quality, non-toxic products when it comes to feminine care and sexual health? Think about it: you’re using these products in very delicate, sensitive, absorbable parts of your body, and sadly conventional products like regular tampons, condoms and lubricants are usually filled with toxins like petrochemicals, parabens and glycerine. In fact, many of the standard personal lubricant manufacturers don’t even disclose their ingredients on their own websites (red flag!). This is where Good Clean Love comes in! They always use natural ingredients and organic whenever possible, down to even their packaging (they’re actually the only organic feminine care and intimacy product company using green plastics made of recyclable sugar cane). Their organic personal lubricants are 100% Iso Osmatic, meaning that they’re designed to match your body’s natural chemistry and balance. The National Institute for Health (NIH) even named Good Clean Love’s lubricants one of the safest products in its class after independent scientific research studies. 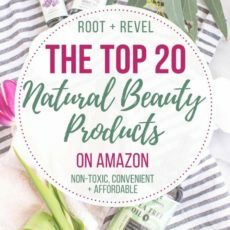 My Favorite MADE SAFE product: Good Clean Love’s top sellers are their Almost Naked Organic Personal Lubricant and Bio-Match Restore Moisturizing Vaginal Gel (which helps rebalance pH and is especially helpful for conditions like Bacterial Vaginosis). Use the code gcl-rootandrevel for 10% off your order! Bioserie makes all natural toys free of toxic substances, well beyond regulatory needs. Derived from plants, they don’t deplete the earth from anything that can’t grow again. 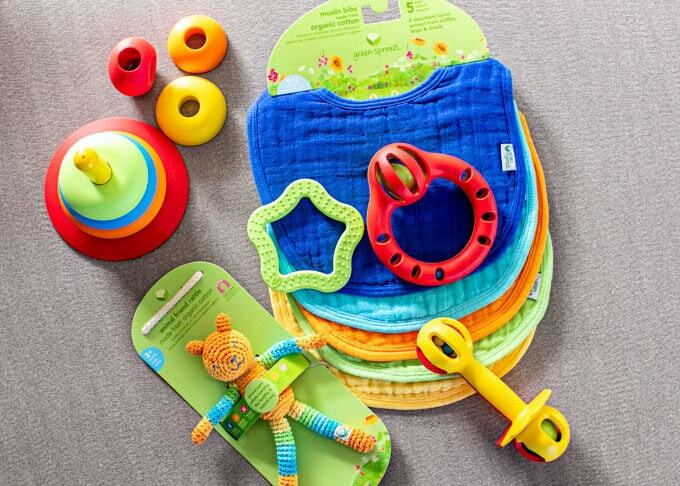 Their versatile, colorful toys stick to the basics of what babies really need to play with during their two years, designed to help them go through teething, learning to grasp, manipulating objects and understanding concepts like shapes, colors, sizes and cause-effect. Plus they’re easy to clean–bonus points! My Favorite MADE SAFE product: Bioserie has 6 different toys that I’m sure my son is going to love when he arrives (any day now! ), but personally I think the 2-in-1 stacker and star teether are going to be favorites. Buy direct or shop on Amazon. Who is Oilogiccare? 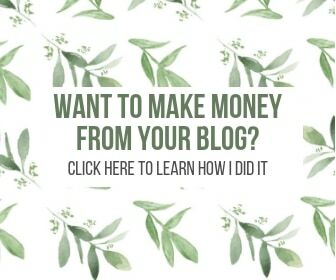 I love DIY natural remedies, but sometimes it’s hard to know what exactly to use, how much, if you have the right ingredients, etc. That’s why I’m obsessed with Oilogic, who makes essential oil care for the whole family easy. They create products with natural, therapeutic properties of 100% pure essential oils to soothe and comfort everyday issues like colds, coughs, sleep, allergies and more. They have different collections for babies + toddlers (beginning at 3 months+), for kiddos (2 years+) and adults (12 years+), plus everything is vegan and cruelty-free. My Favorite MADE SAFE product: Oilogic’s MADE SAFE™ certified products include their Essential Oil Roll-ons, Essential Oil Epsom Soaks and Ouchies & Boo Boos Ointment. You can also buy direct from their website. Who is Meliora? 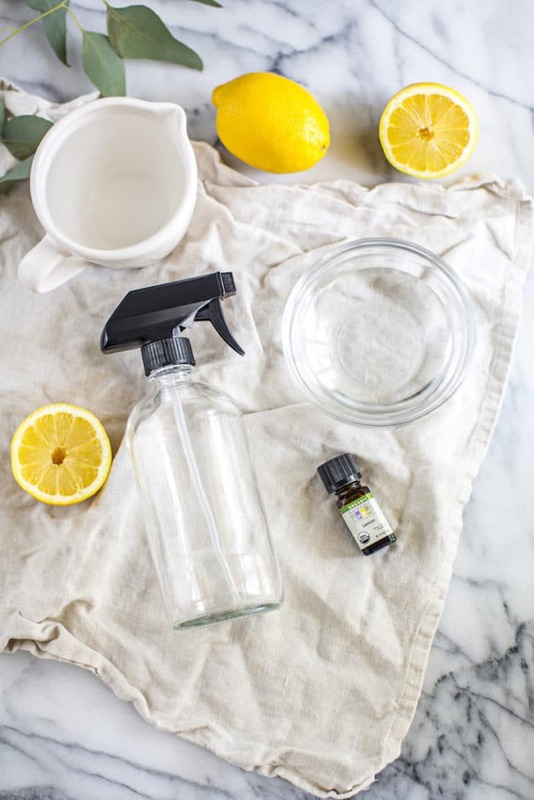 Have you tried using natural cleaning products, but aren’t thrilled with your results? If so, you’ve got to try Meliora, whose cleaning products not only work wonders but are safe for you and the planet. They also rank high with the EWG and have no synthetic fragrances, dyes, optical brighteners, or preservatives. Plus, every ingredient is listed on the front of every product (which is not required by law so most companies don’t do it). Meliora is also certified cruelty-free and a B-Corporation. My Favorite MADE SAFE product: Try their Home Cleaning & Laundry Bundle for a nice assortment to get you started. It includes laundry powder, a soap stick for stain pre-treatment, all-purpose home cleaner + refills. You can buy direct, at Amazon or at Mighty Nest. Are you familiar with any of these brands? What are your favorite MADE SAFE products or brands? Let us know in the comments below!